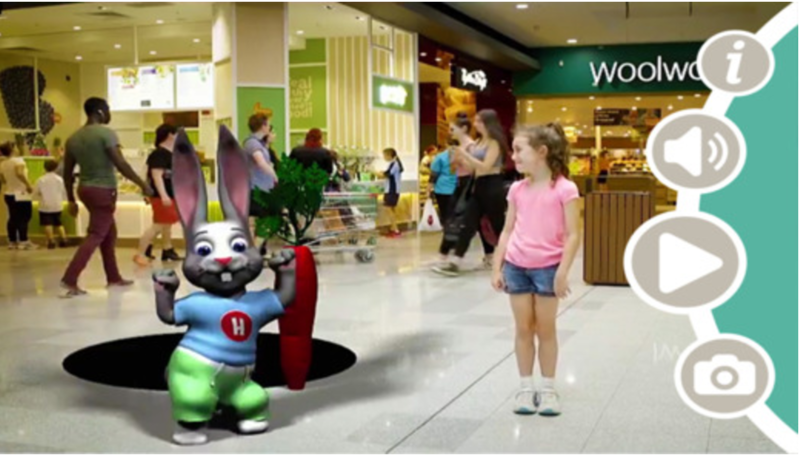 Vinta, a leading private integrated property group, were looking for a way to encourage exploration of the different areas of their shopping centres and provide an engaging and fun filled shopping experience for families over the Easter break. 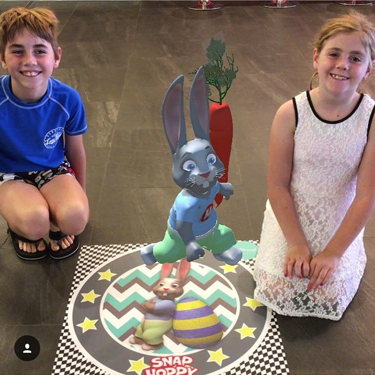 Catalyst created a 3D Augmented Reality experience, through the use of a custom App, that took consumers on a augmented Easter Bunny hunt through two of their shopping centres; The Strand at Coolangatta on the southern Gold Coast and Marketplace Gungahlin in Canberra. 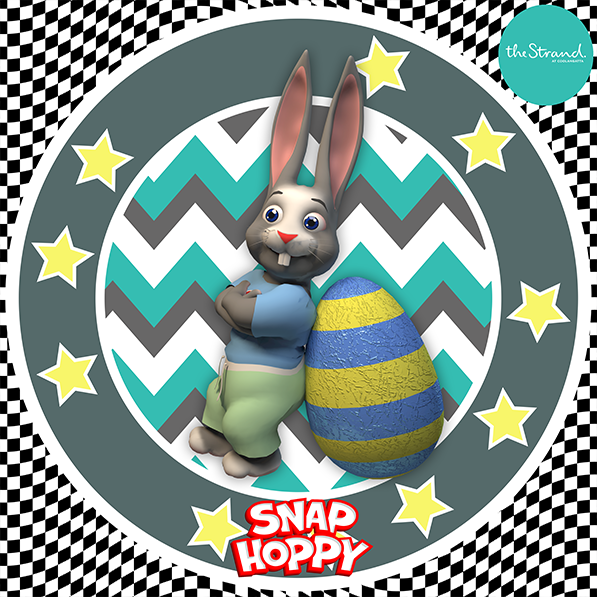 From the 1st to the 23rd of April, 2017, shoppers could bring an augmented reality Easter bunny named Hoppy to life throughout the centres by downloading each centre’s exclusive free app – “Snap Hoppy” at The Strand and “Hoppy Days” at Marketplace. 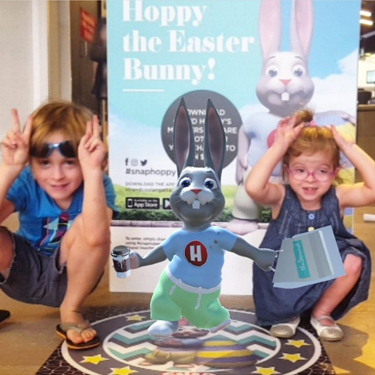 Hoppy the Easter Bunny was the star of the pilot augmented reality (AR) campaign and was able to dance, jump and share a “selfie” with anyone keen to interact with him. 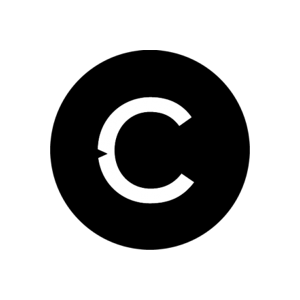 The AR campaign aimed to engage visitors to each centre with an entirely new and exciting experience while they shopped. 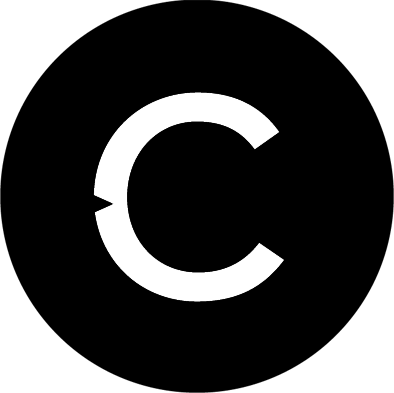 “The locations of Vinta’s shopping centres are the perfect setting for app-based ‘retail-tainment’,” Gabriel Howard, Catalyst’s Head of Production. Augmented Reality is an exciting new technology that is now accessible to anyone via a smart phone or tablet. AR enables a user to enhance their reality, by viewing animations and effects through the inbuilt camera in their device. Shoppers will only need to download the free app onto a smartphone or tablet and then get hunting. 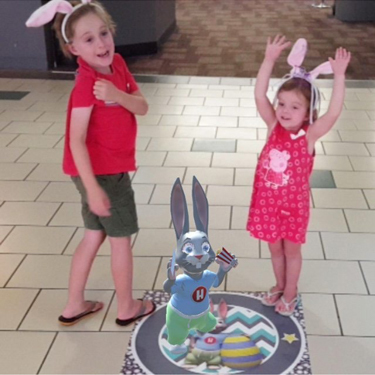 The fun starts when the Easter Bunny leaps out of his hole from a floor sticker and then shows off his dance moves. 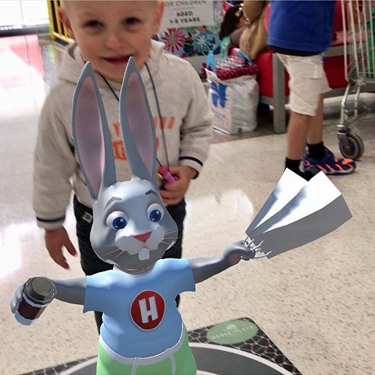 At Catalyst, we’re excited to be using this immersive technology to make shopping more fun for families, giving everyone the chance to meet the Easter Bunny. The game is compatible with all handheld devices, is downloadable from the iTunes & Google Play app stores and does not need Wi-Fi to run. By sharing their photos with Hoppy on social media, with the unique centre hashtag, shoppers went into a draw to win a $200 gift card to spend at the centres. 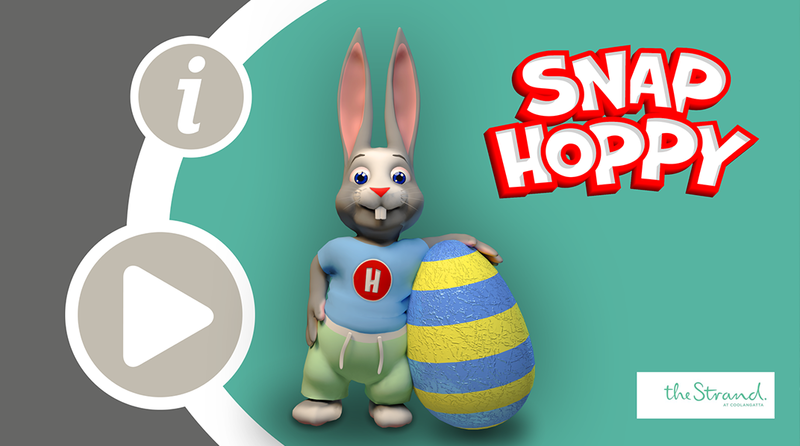 The “Snap Hoppy” and “Hoppy Days” apps are available to download for free on the Apple Store and Google Play. 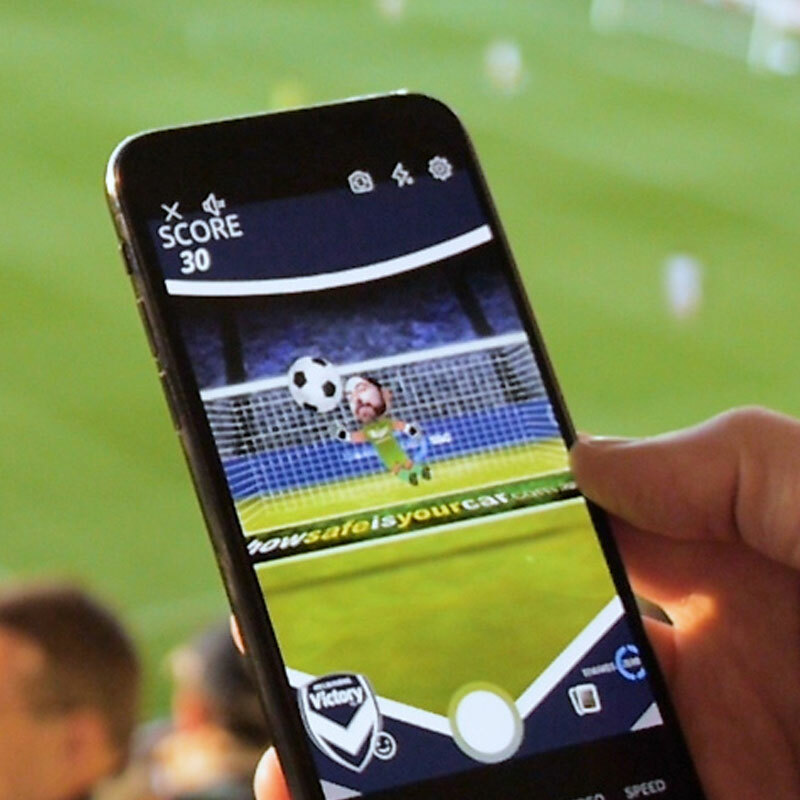 For a sneak peek into how the App works download the App and take a look at the AR target beside – the app should detect the target and Hoppy will jump out of the screen!